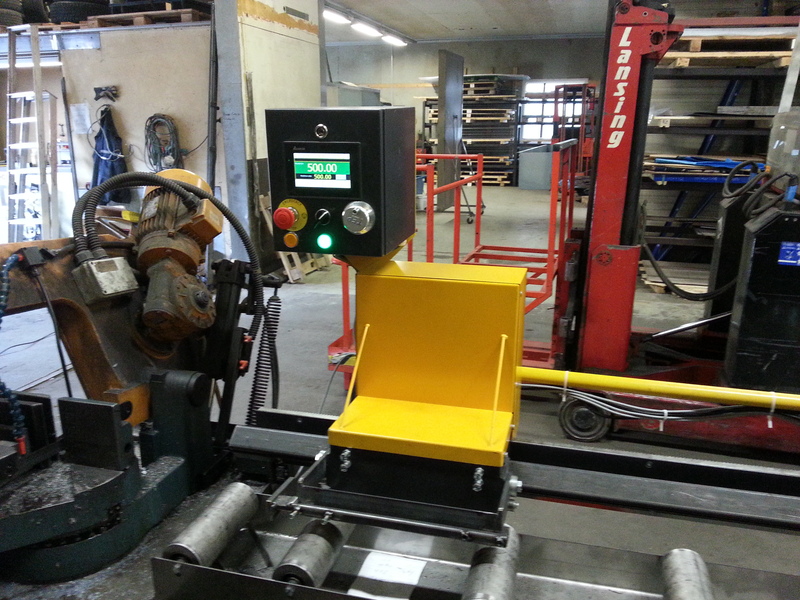 Another successful application, and this time comes from the company Thelen Tech from Finland. 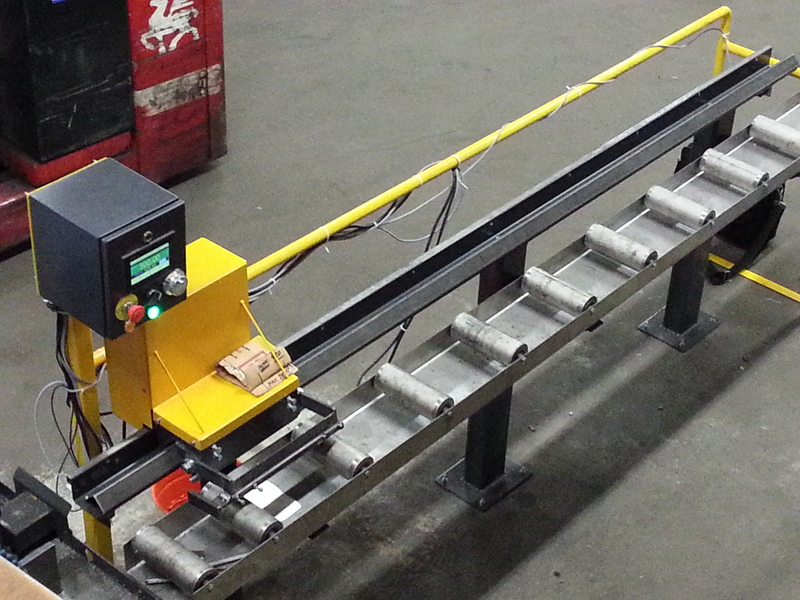 This company engineer is a big an of Delta and our step and direction solutions, and for this simple but effective solution they use 750W ASDA-B2 drive for the motion together with DVP28SV2 for the control. 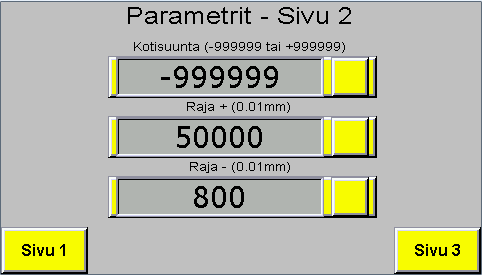 And to monitor or configure speed, they add DOPB04 HMI. 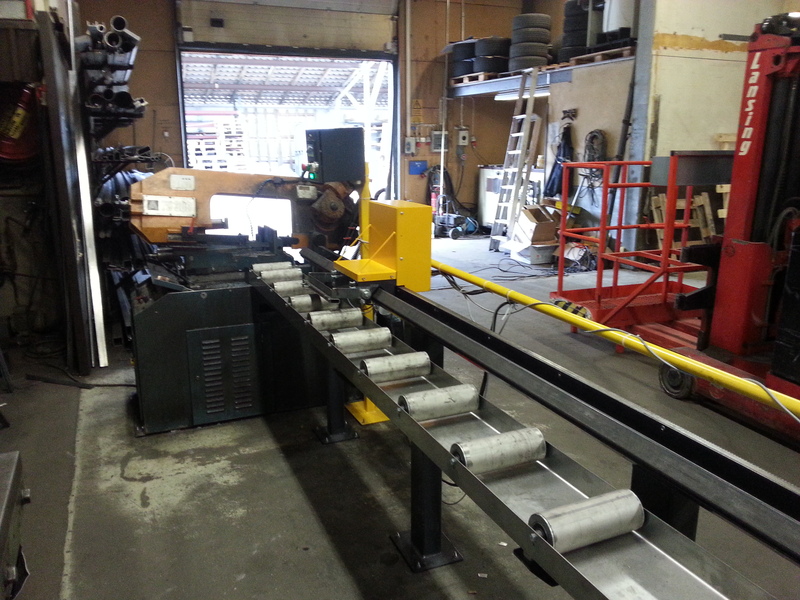 The cutting length can be adjusted using manually using hand-wheel, or automatic using HMI. Also +/-10V speed command is possible, motion control just calculates difference between real and wanted position and turns it PWM (or voltage). 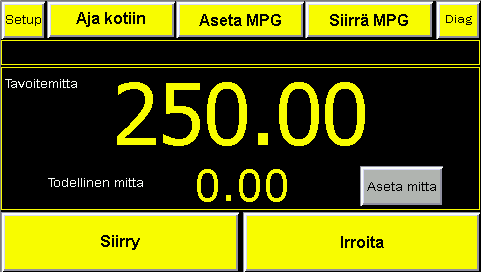 This pretty nice arrangement for relative (like MPG) and absolute positioning using at the same time. 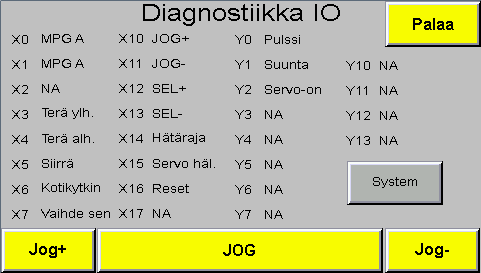 Diagnostics Screen, very useful for the designer. Thank you very much Thelen Tech to share this new machine with us! Keep impressing us like that!